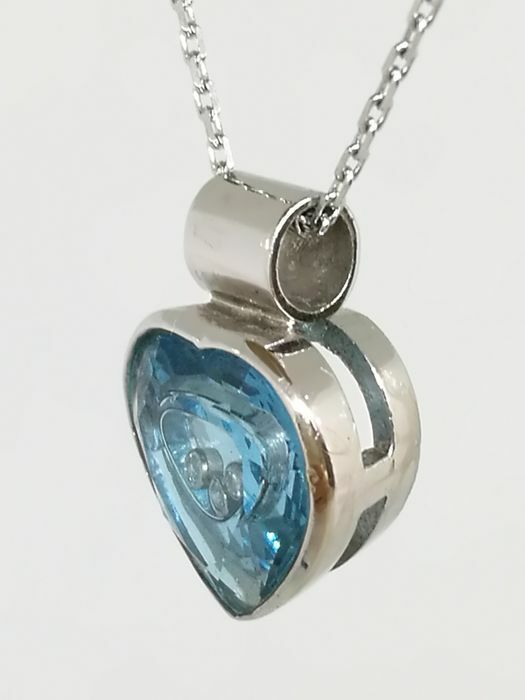 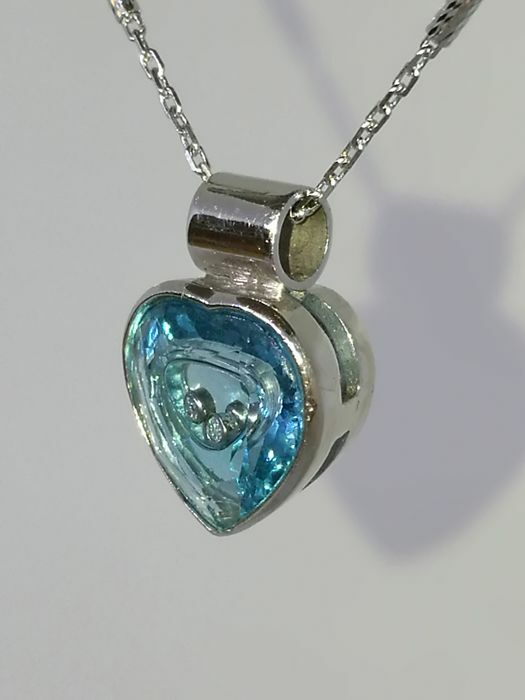 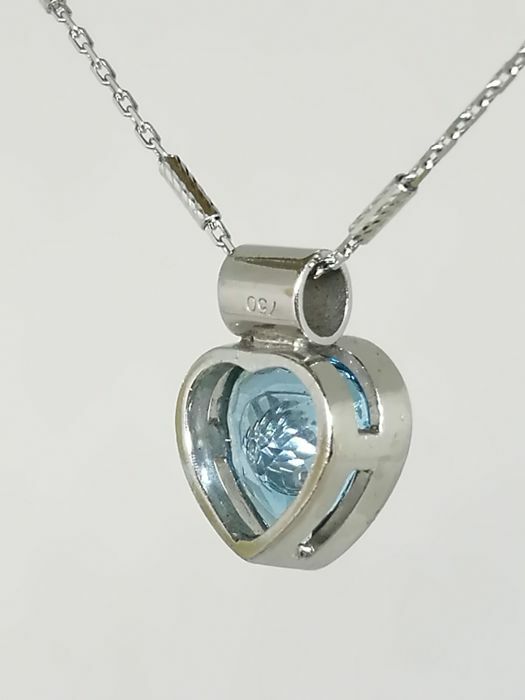 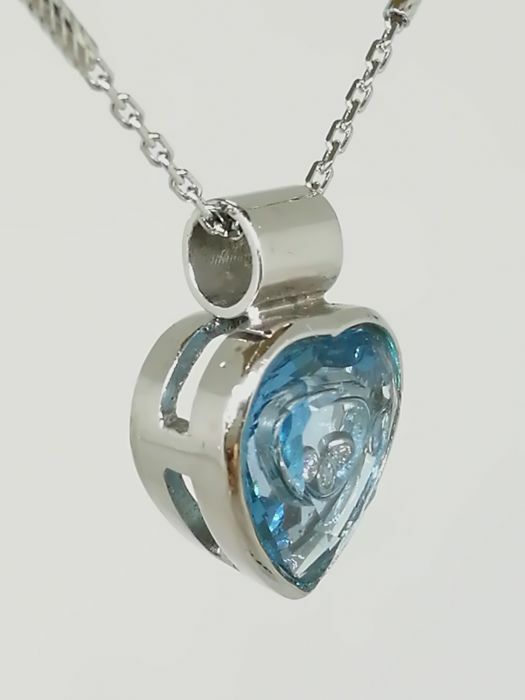 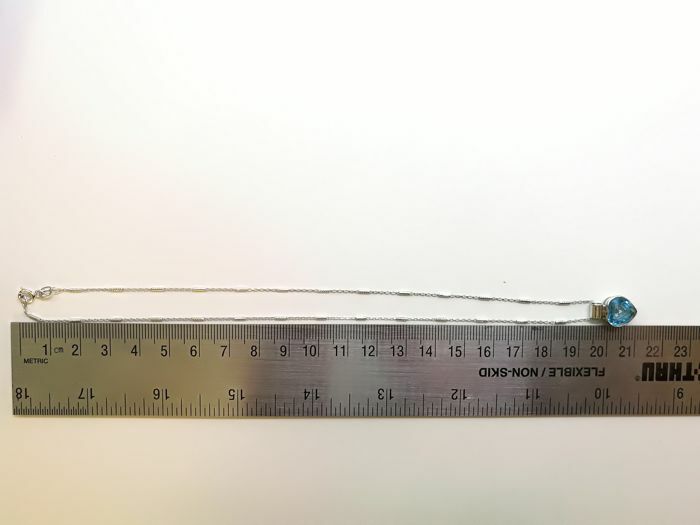 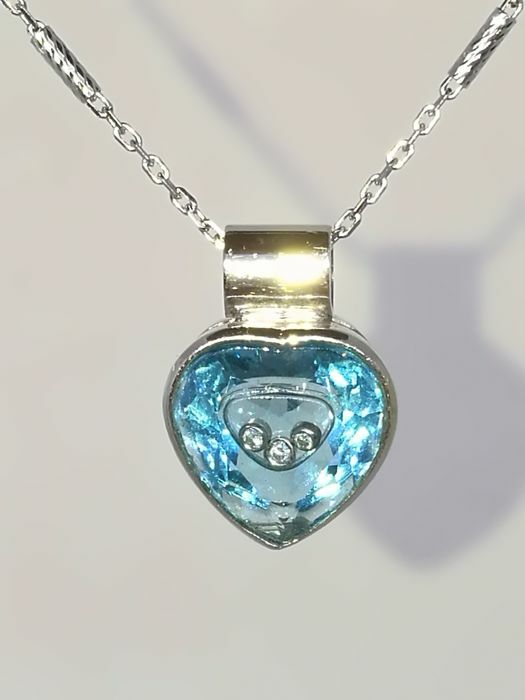 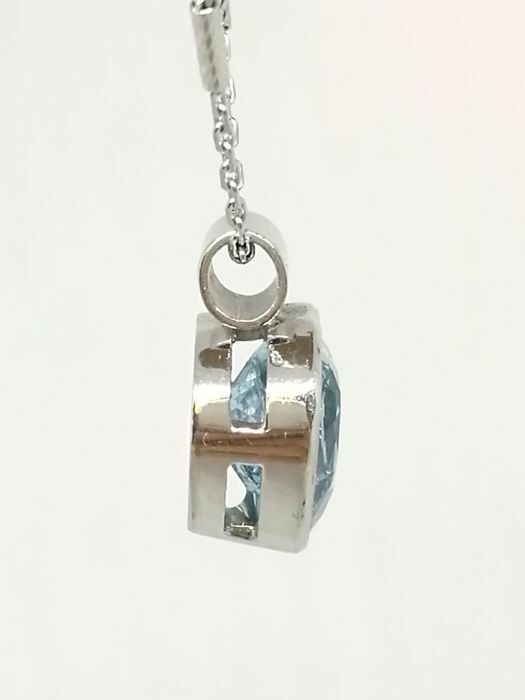 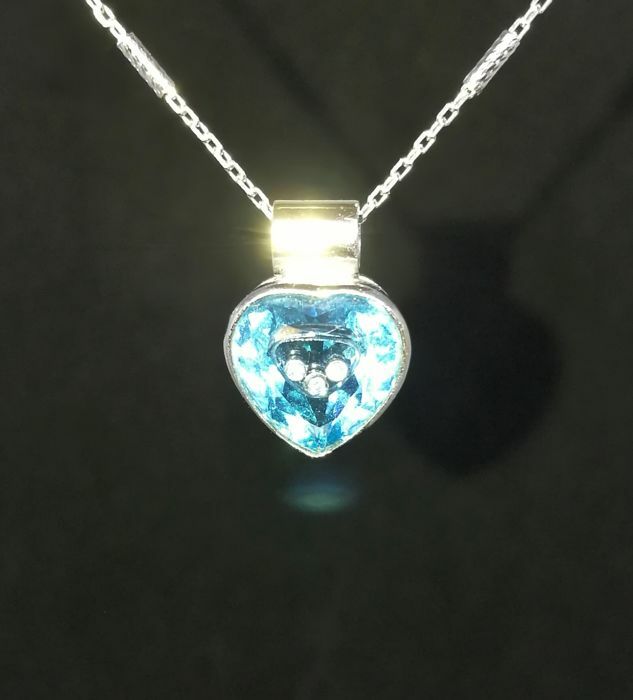 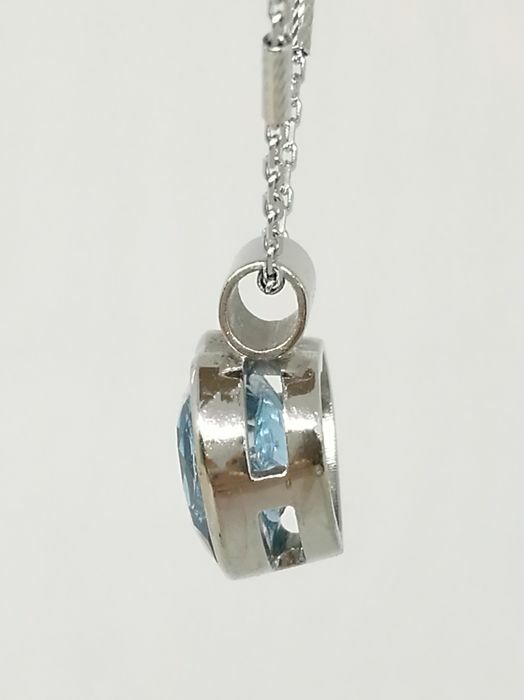 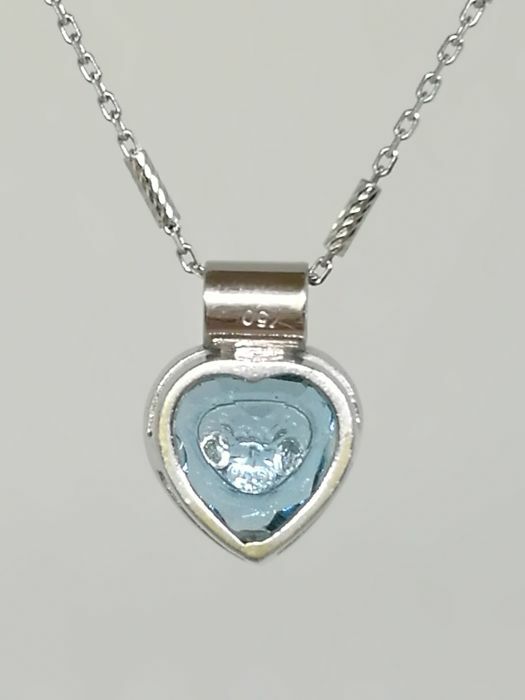 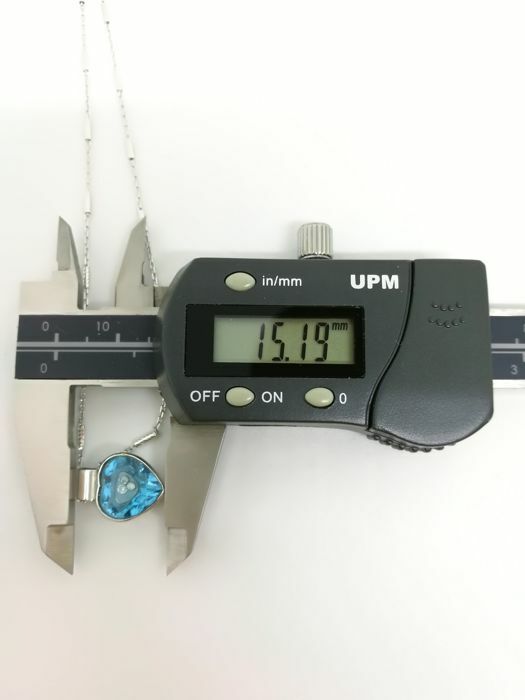 Blue topaz pendant with 3 pieces of melee diamonds with a total weight of .03 ct placed in the heart. 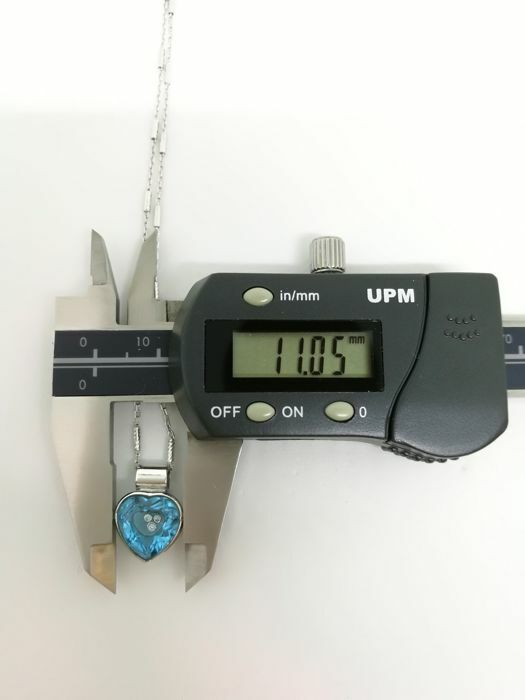 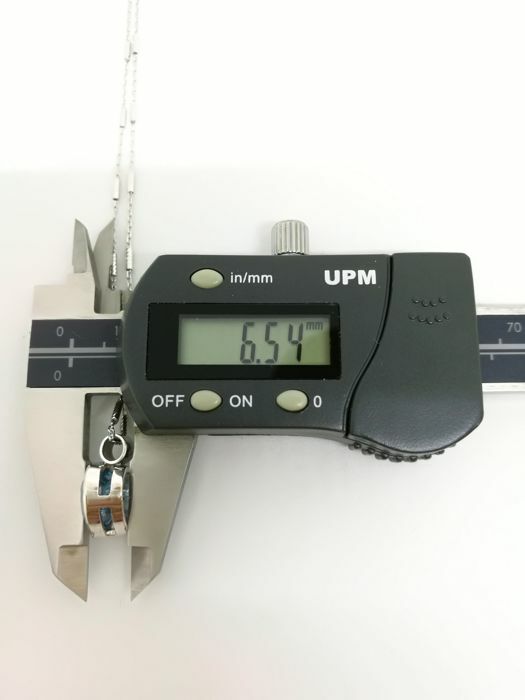 The 18K white gold necklace is 40 cm in length . 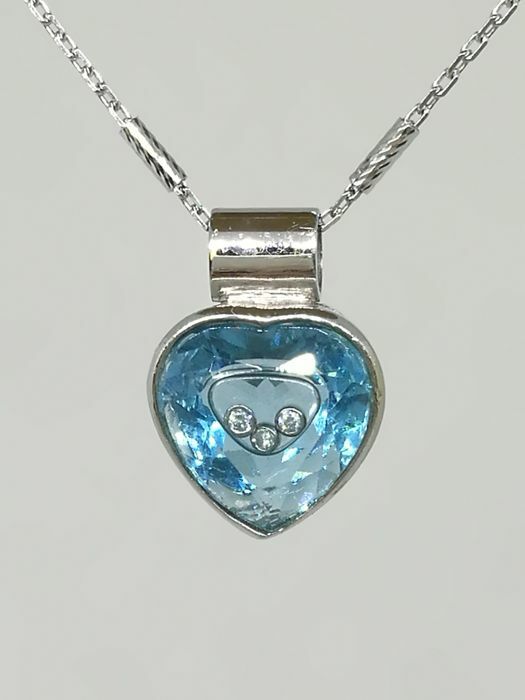 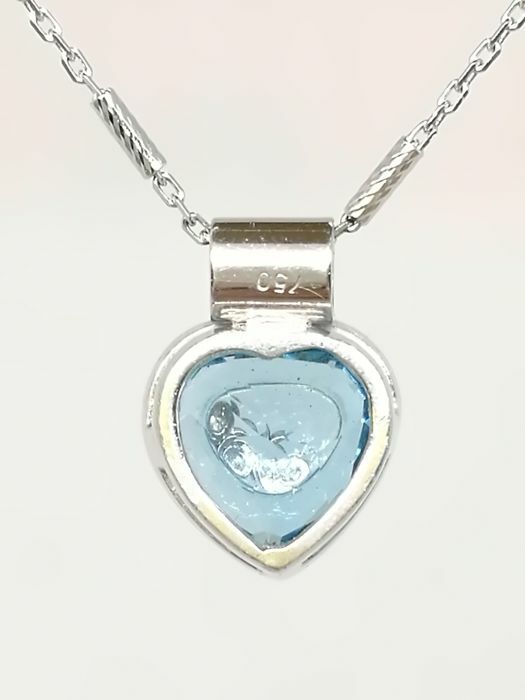 The blue topaz pendant is originally made in India . 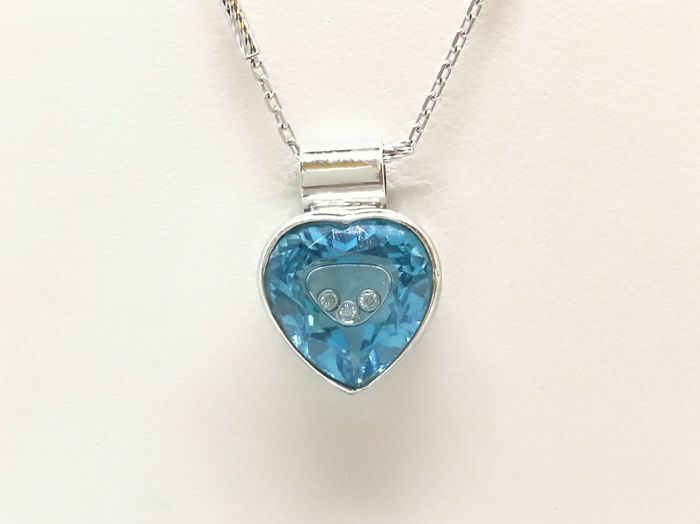 Necklace is from Italy . 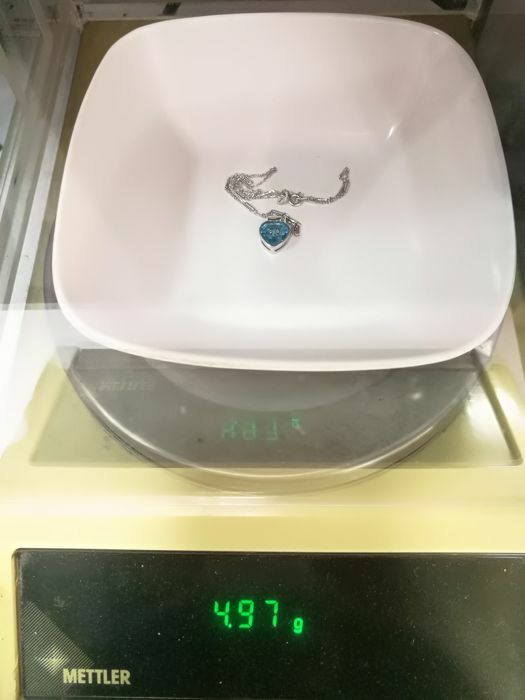 U kunt dit kavel ook ophalen bij de verkoper: 香港 (Wanchai), Hong Kong.